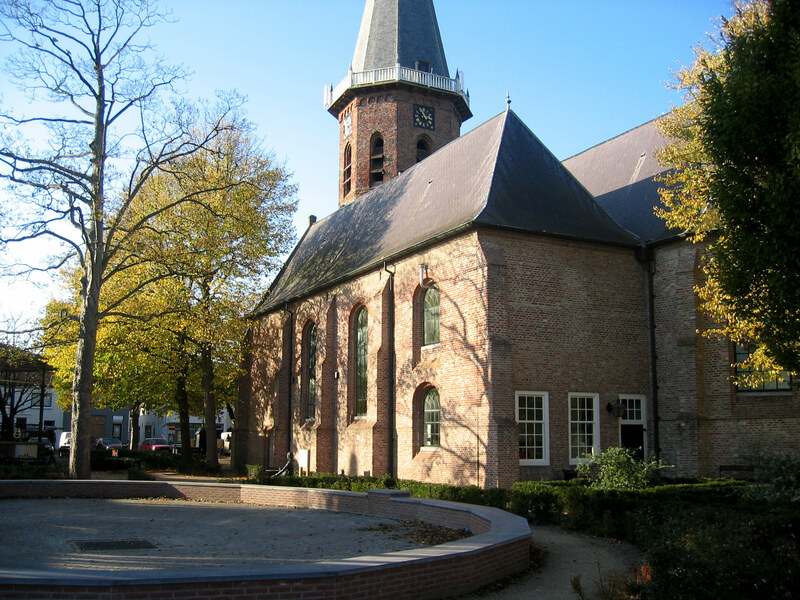 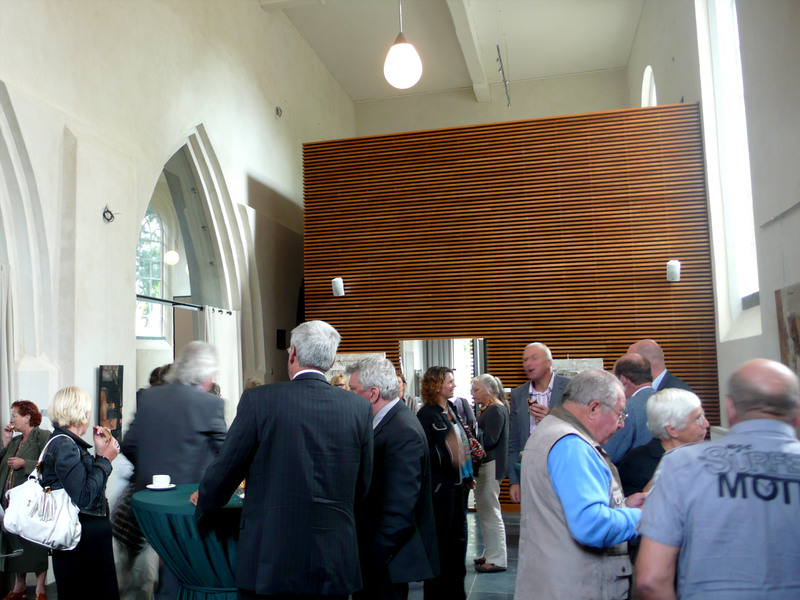 The Dutch Reformed Church (NHK) in Groede will be renovated. 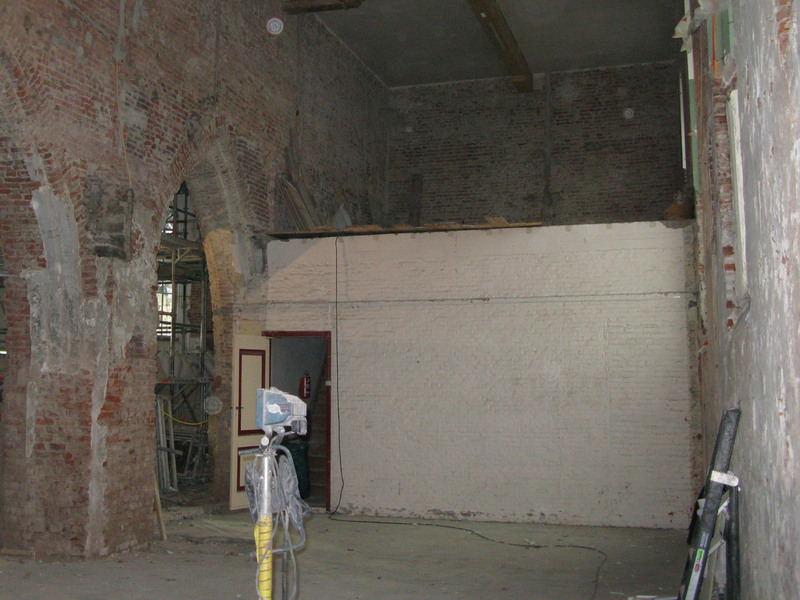 The foundation managing the church wants to renew the interior to make multifunctional use of the church possible. 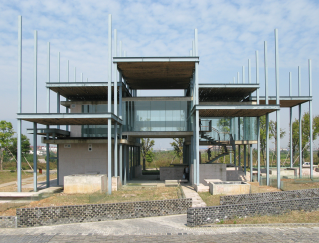 Ceremonies, services, lectures and exhibitions have to be able to be organized in the building. 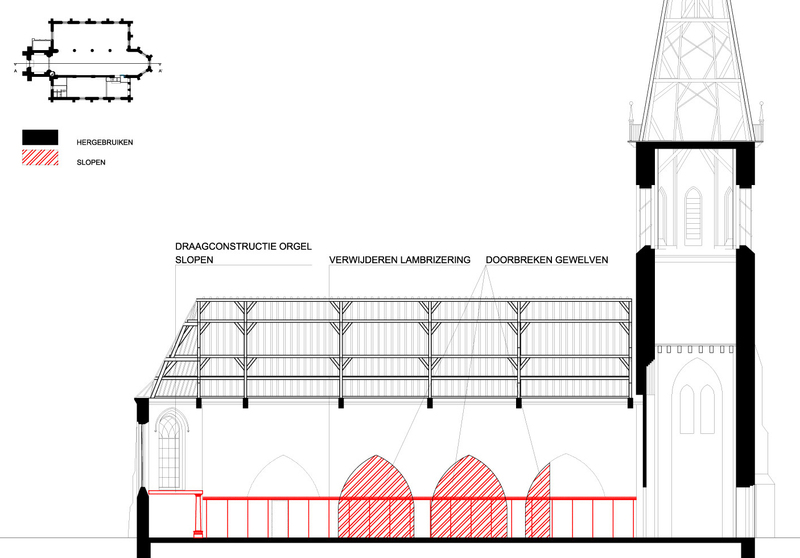 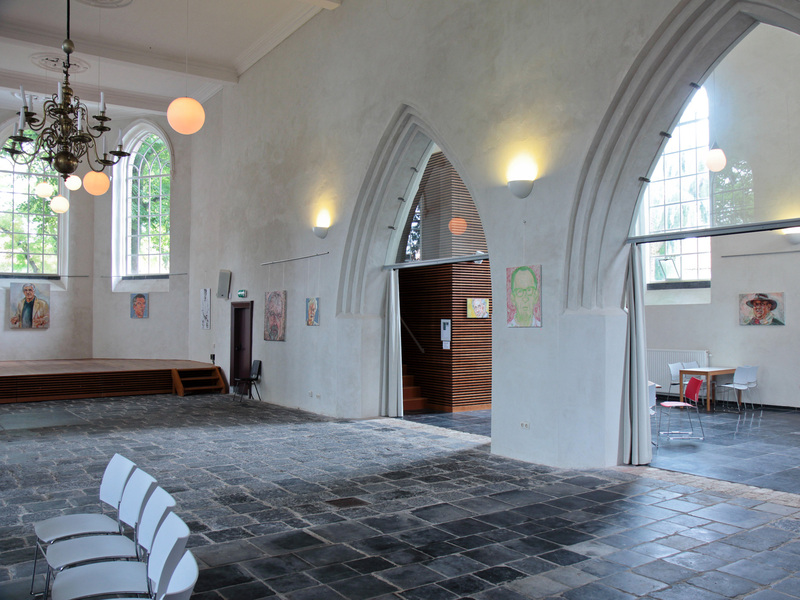 Our proposal brings back the original light and space in this Flemish Hall-Church. 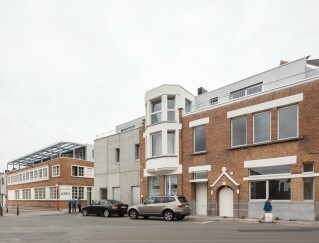 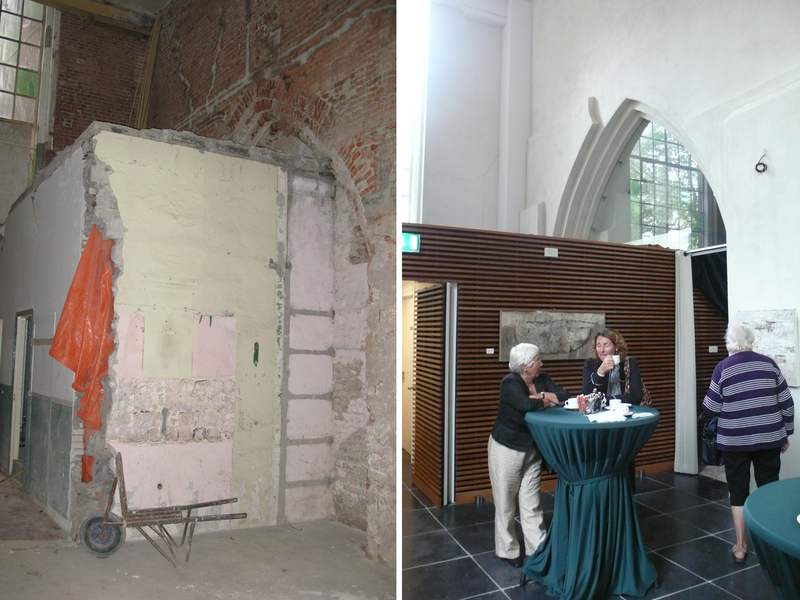 The historical division between the French and Flemish church is demolished. 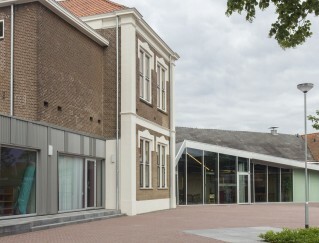 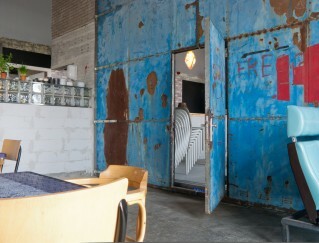 The original space is recreated. 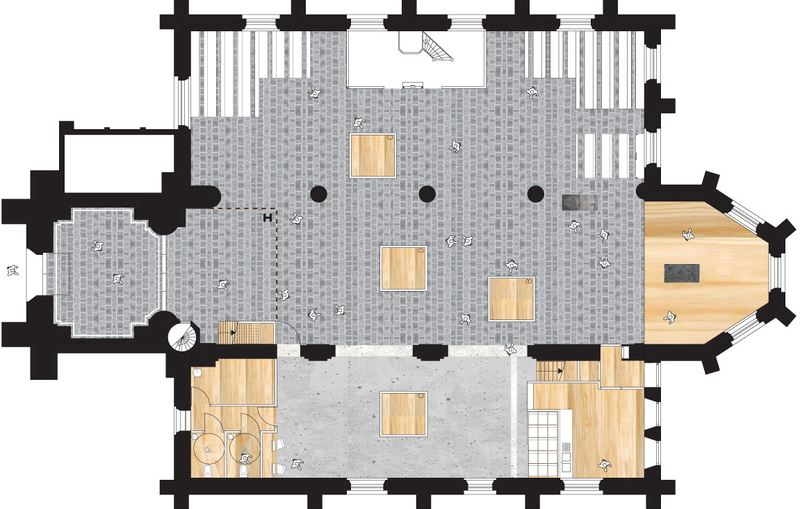 Through the materialization of the floor the history of the church remains visible. 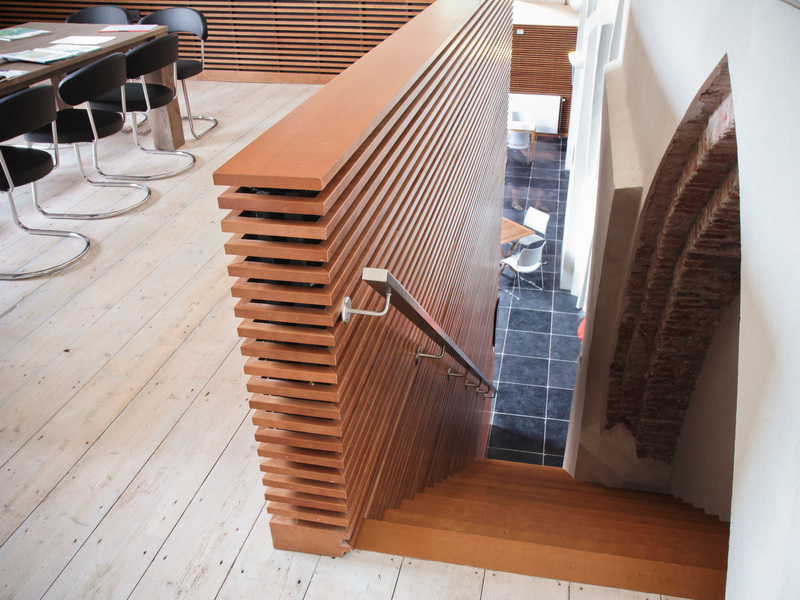 To make the multifunctional use possible 2 new volumes are inserted in the interior. 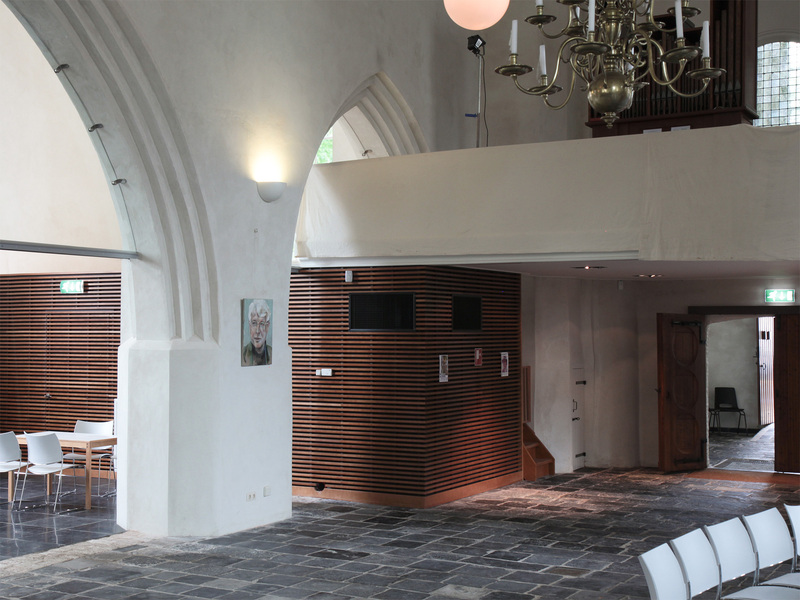 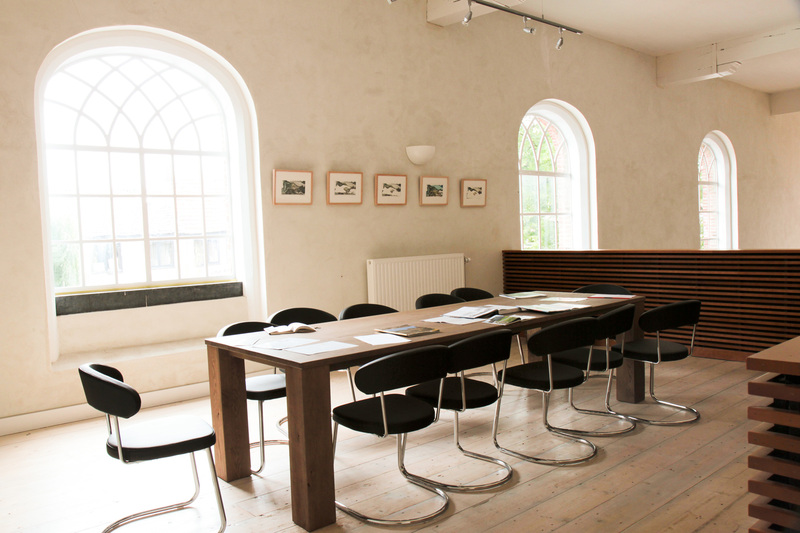 The new additions have a different material to make the interior tell the history of the church.